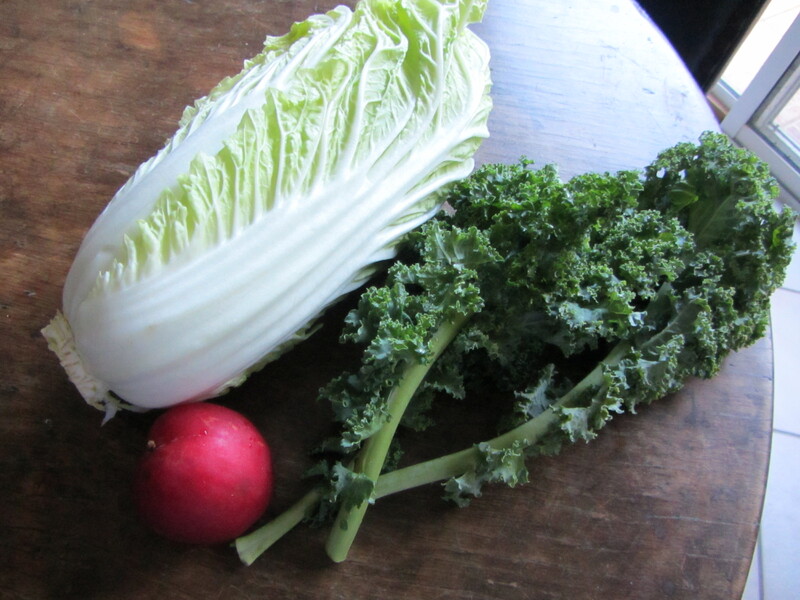 Greens cleanse, alkalize and strengthen the system. The juicy pluot, a plum/apricot hybrid, also known as “plumcot,” “aprium” or “apriplum” adds sweetness and light to the dish. 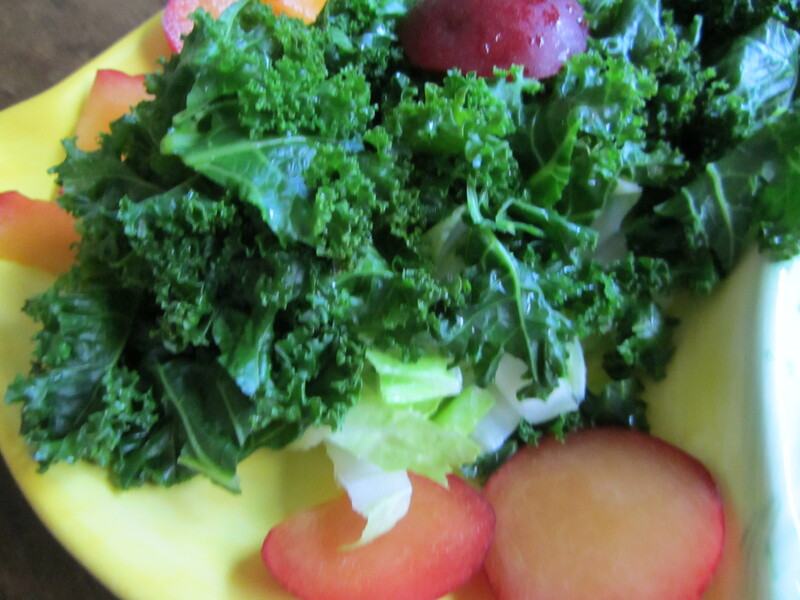 Wash the napa, kale and pluot well. 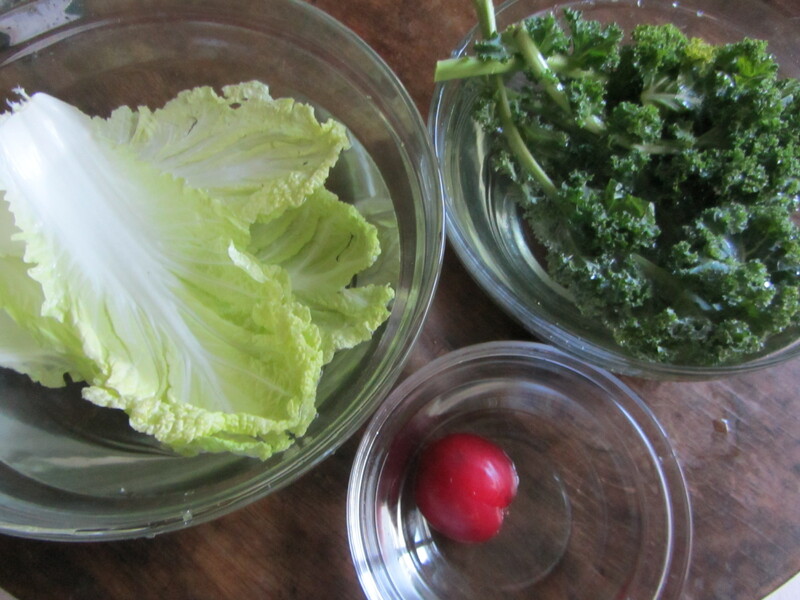 Trim the napa and kale, removing any tough stems. 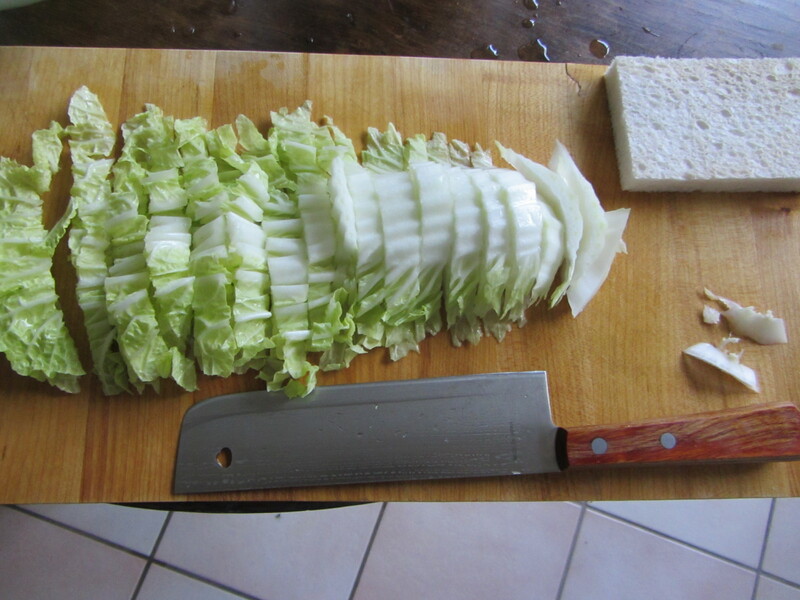 Cut the cabbage into bite-size pieces. 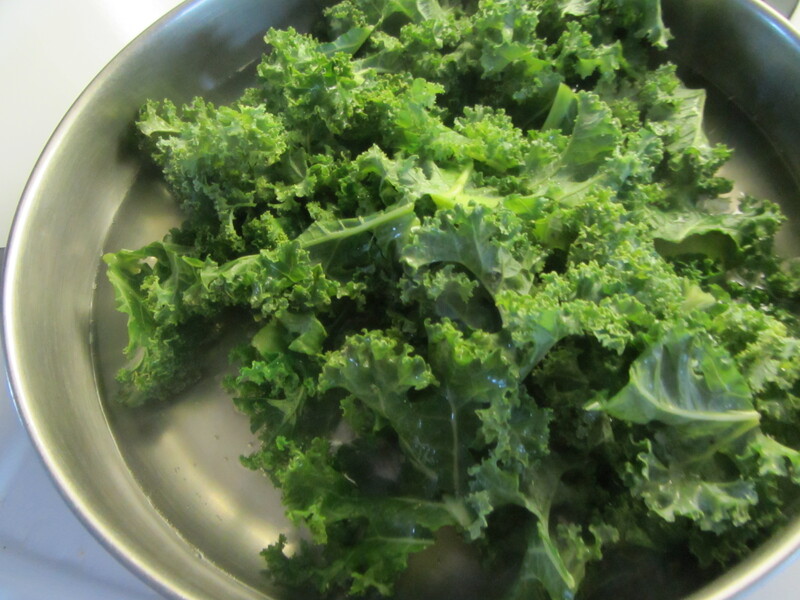 Cut the kale into similar bite-size pieces. 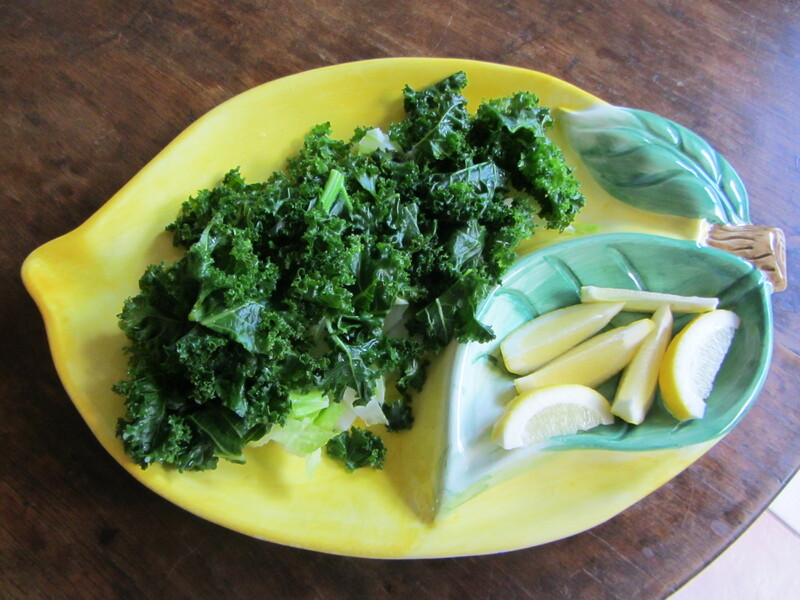 Place it on a serving plate with lemon wedges for garnish. 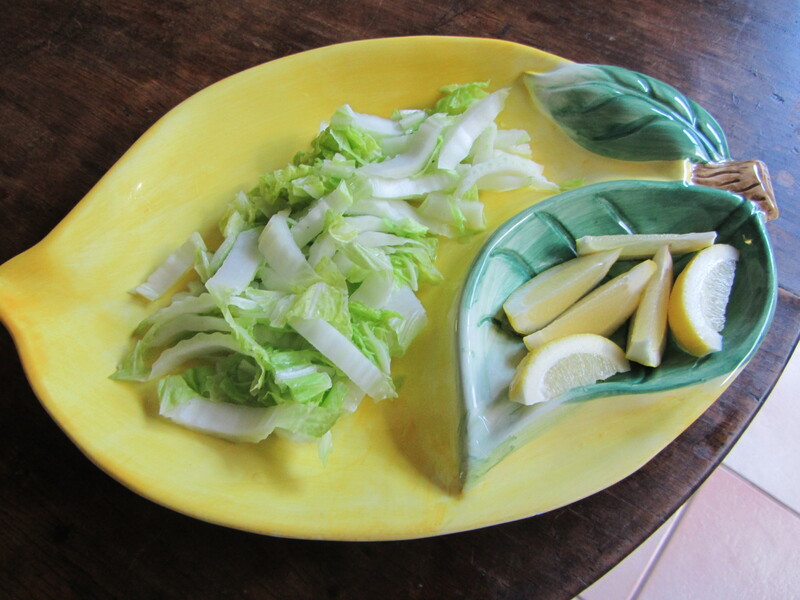 and place on the serving plate on top of the napa cabbage. 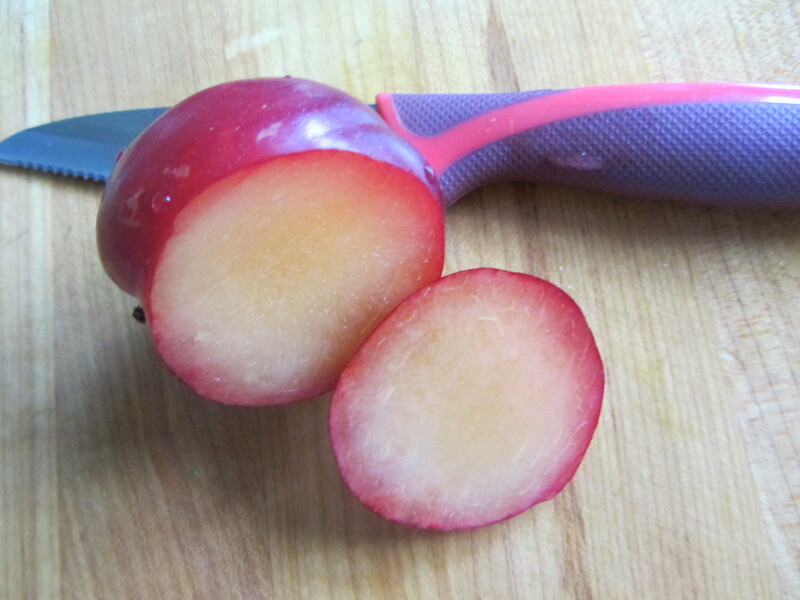 Slice the pluot into half moon shapes. 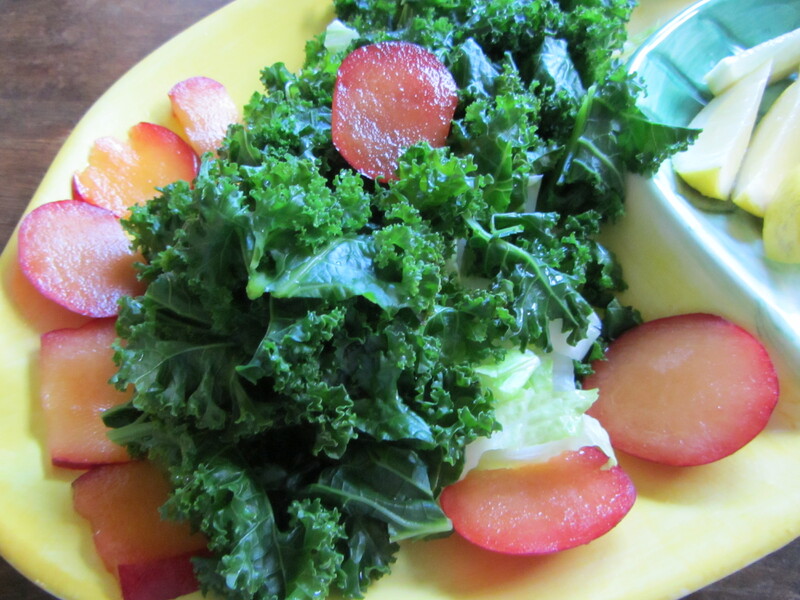 Surround the greens with the pluot pieces. You did an amazing job! E’s cookbook is fantastic. Thank you for all of your work for the class. No wonder it is the most popular class.